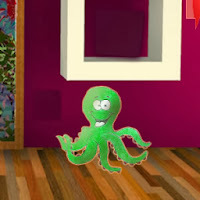 Green Octopus Escape is point and click escape the room game developed by Ainars and sponsored by EscapeFan.com. Obtain various items and complete few puzzles in order to help Green Octopus unlock exit and escape to freedom. Good Luck!